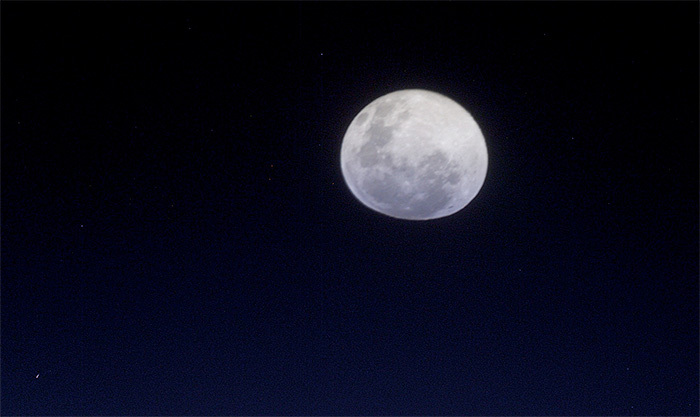 The following photograph also shows the Moon from space. In this photo, the Moon appears oddly distorted. This time, the effect you’re seeing is not the result of an illusion. This photograph was taken when the Moon was almost on the horizon. 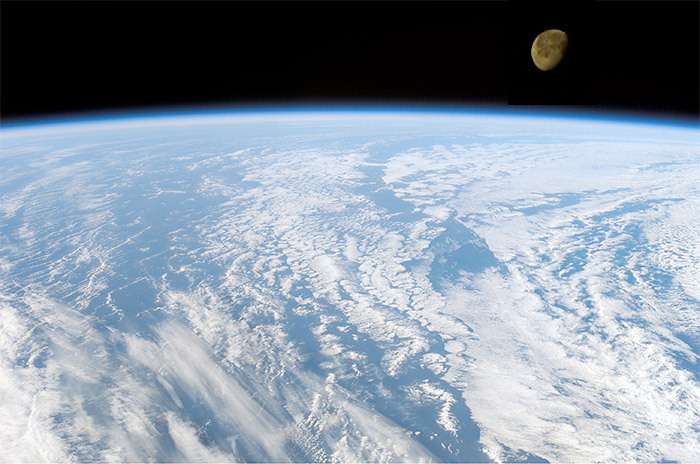 The Moon’s light crosses the boundary between the vacuum of space and the Earth’s atmosphere twice, first entering the atmosphere then leaving again. This causes a phenomenon known as atmospheric refraction, resulting in the optical distortion we see here. The following picture shows the Moon’s shadow on the Earth. Viewed from the surface of the Earth, this event would be seen as an annular solar eclipse. Because solar eclipses are rare, only a few astronauts have viewed such an event from space, mostly from Mir and the International Space Station. 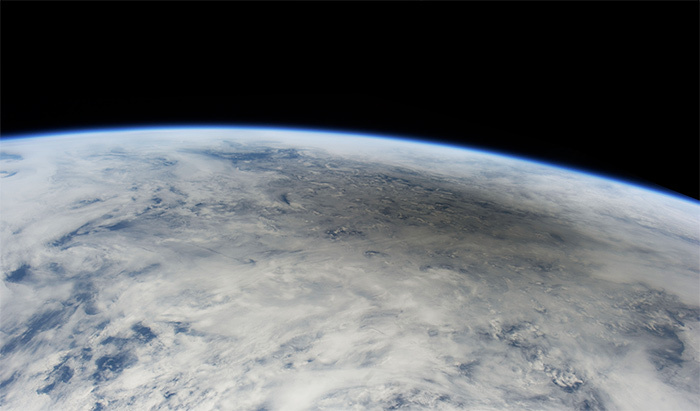 If a suborbital spaceflight occurred within the path of a solar eclipse, it would be possible to simultaneously view the eclipse from space and look back to see the Moon’s shadow on the Earth. Such a flight would no doubt be popular with both professional and amateur astronomers and photographers. Thank you for the beautiful images and this insightful article.I was intrigued to know if the moon illusion worked in low earth orbit.